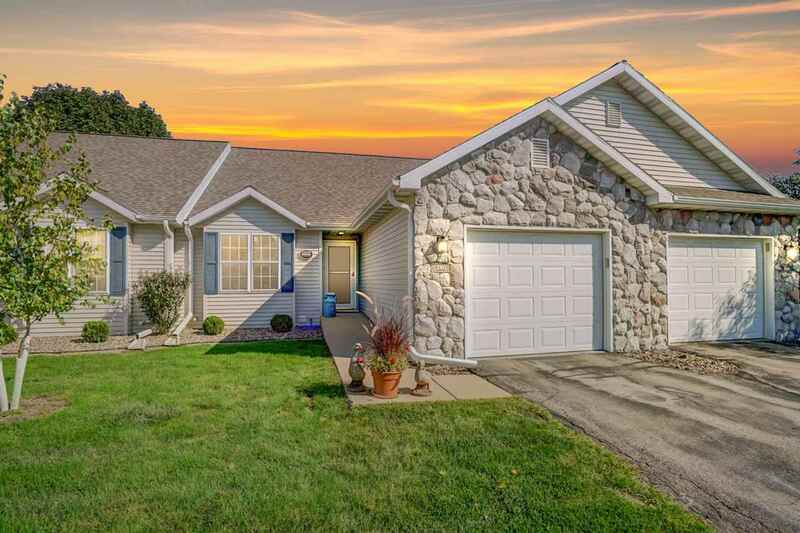 Welcome home to this move-in ready, open concept, ranch style, private entry home. The main level features: spacious kitchen w/ stainless appliances, plentiful cabinetry, pantry, tile, and breakfast bar. Relax in your sun room w/ nature views, vaulted ceiling and access to your large deck. Large living room w/ cathedral ceiling & skylights, dining area, laundry, 2nd bdrm & full bath. Master suite w/ walk-in closet & 3/4 bathroom. The lower level boasts corner gas fireplace, huge family room, another full bathroom & abundant storage. Additional sqft can be finished. Items Included: Oven/Range, Dishwasher, Refrigerator, Microwave, Some Window Coverings, Water Softener, Washer, Dryer, Workshop Benches.